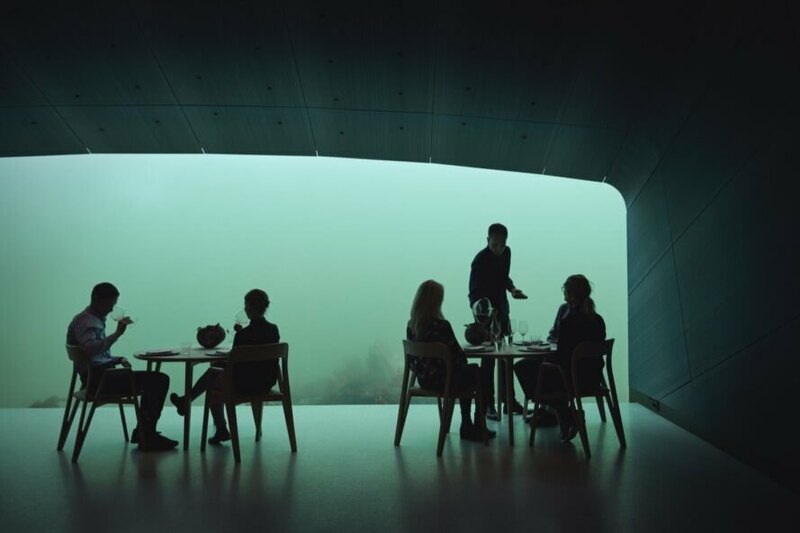 Europe’s first underwater restaurant, “Under,” has just welcomed its first guests to an extraordinary Snøhetta-designed environment that embraces stunning seabed views. 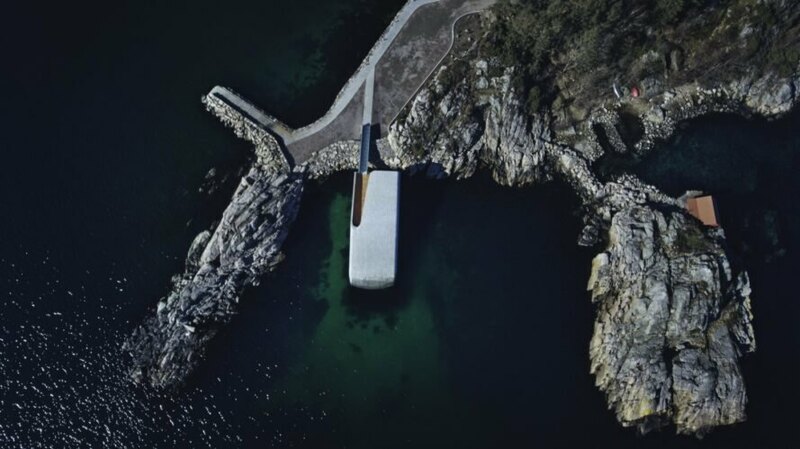 Located at the southernmost point of the coastline in Lindesnes, Norway, Under is a partly submerged building that rests directly on the seabed 16.4 feet below water. 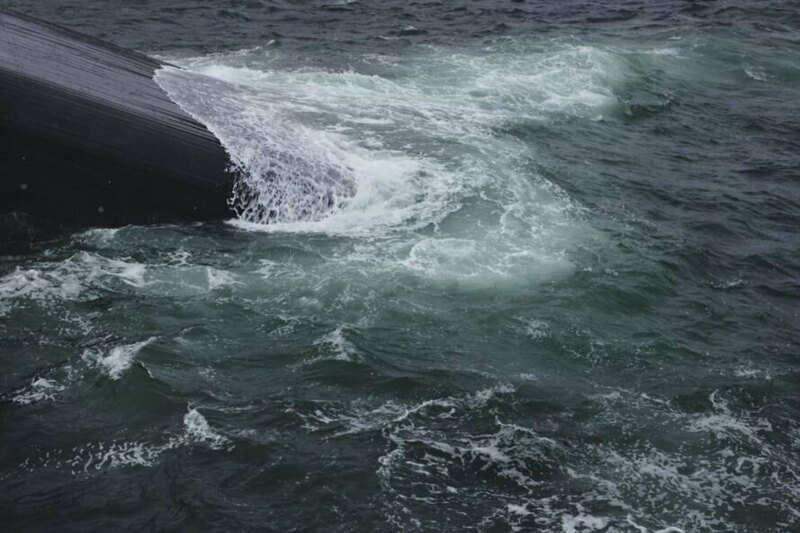 The monolithic building also serves as a research center for marine life, and its rough concrete envelope will, over time, become a habitat for an artificial reef. 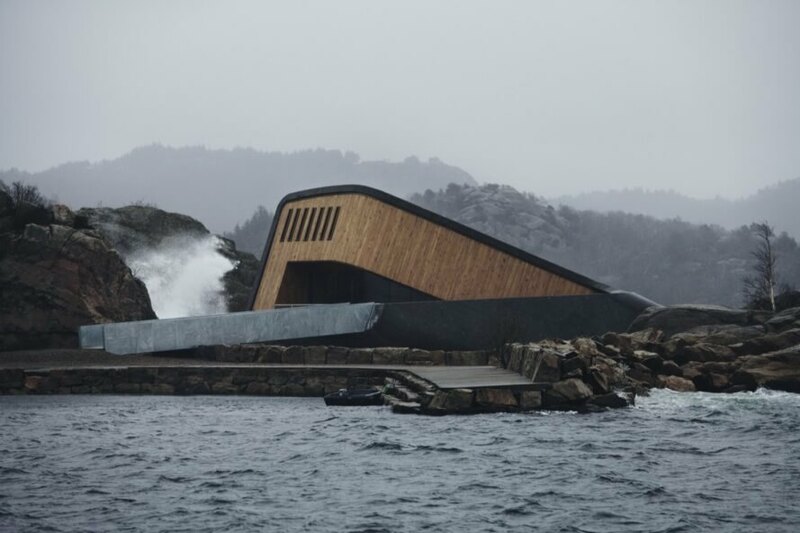 Famed for its intense and mercurial weather, Lindesnes is often home to sea-churning storms. In contrast, Under is a warm and calming environment fitted with locally harvested Norwegian oak finishes and sound-absorbing textiles. 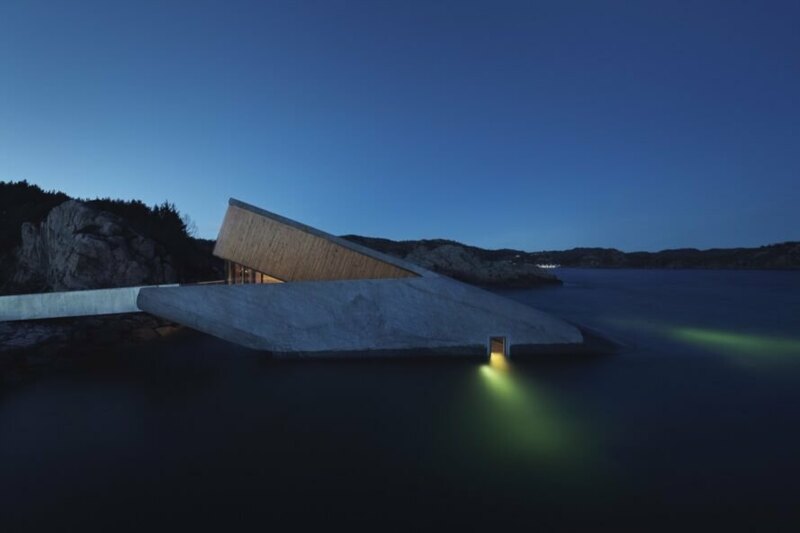 Tilted into the water like a sunken ship, the 111.5-foot-long building receives guests via a staircase that leads to the seabed. The colors of the textile-clad interiors become darker — changing from sunset pinks to intense coral to sea green and finally midnight blue — as guests move closer to the 40-person dining room. The materials also change from rougher wood finishes at the entrance into increasingly refined finishes in the dining room. In the dining room, a massive, 36-foot-wide window provides panoramic sea views, which change throughout the seasons from sapphire blues in winter to emerald greens in summer. To minimize reflections on the glass, the restaurant has installed a sophisticated lighting system with 380 LED lamps that can be adjusted to respond to differing light conditions. Views can also be enjoyed from the vertical window cut into the side of the building that begins at the mezzanine level where the building meets the sea and extends down toward the seabed. The fine dining restaurant will be led by Head Chef Nicolai Ellitsgaard, who will serve high-quality, locally sourced produce with an emphasis on sustainably harvested wildlife. 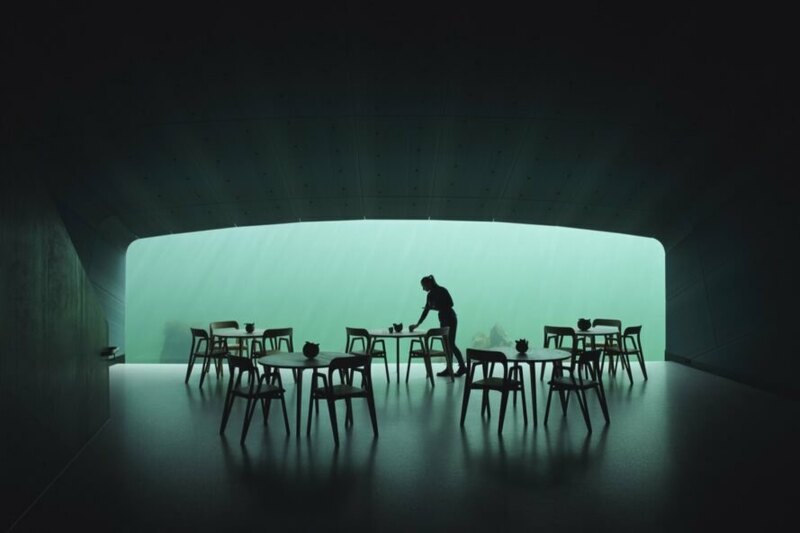 Snøhetta has designed this exciting new restaurant in Norway. 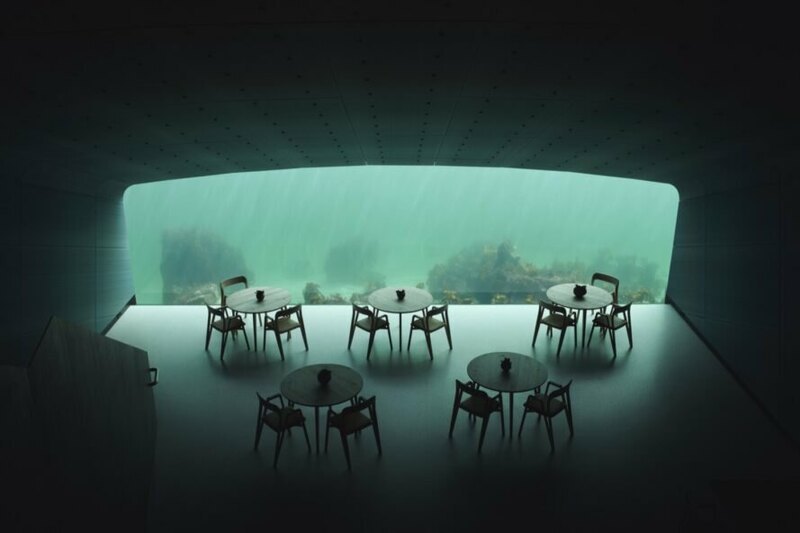 Under is Europe's first underwater restaurant. 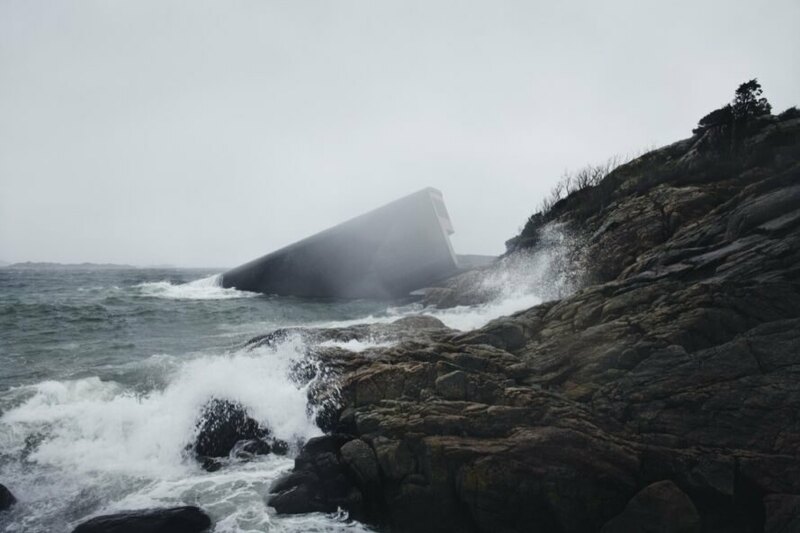 It lies on the coastline of Lindesnes, Norway. Inside, views of the seabed can be enjoyed by guests. Under serves up an unforgettable dining experience. The building will also serve as a marine life research center. The area is known for stormy weather, but Under remains a calm, relaxed space. Locally sourced materials were used in the restaurant's construction. Head Chef Nicolai Ellitsgaard will lead the restaurant and serve local produce and sustainably sourced proteins.